At the beginning of the 20th century, Vienna was one of the major centers of Europe. Artists, politicians, nobles, citizens, and tourists populated the streets of the city, and the emperor ruled them all. You are in the thick of the Viennese Modern Age, trying your luck as a hotelier. For that, you must expand your little hotel and prepare new rooms. In the meantime, your guests require culinary excellence. Make sure each and every guest receives a proper dish and drink. You may need to hire additional staff. Despite all that, do not forget to render homage to the emperor, or you will fall into disgrace pretty soon. 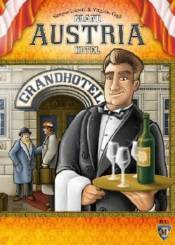 Face the challenge and turn your little hostel into the Grand Austria Hotel!